These opera length (22?) 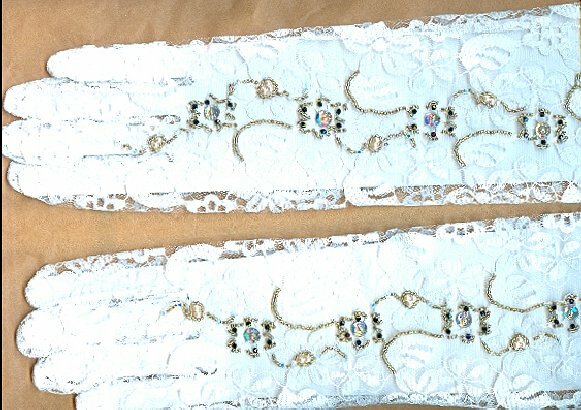 gloves are made of fine white lace which I've bead embroidered by hand. 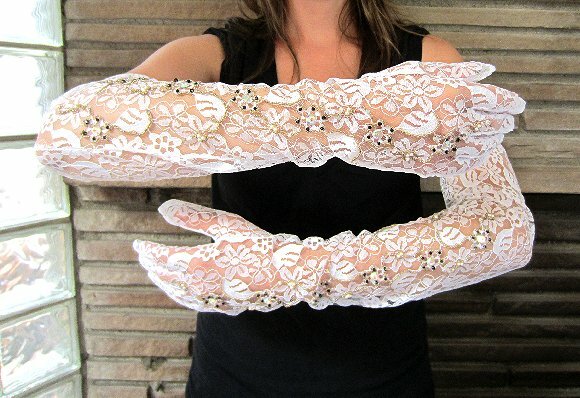 The gloves are adorned with Swarovski crystals in clear and black, Swarovski crystal pearls and rich old gold glass seed beads. In addition to being gorgeous, the gloves are easily cleaned: simply wash them by hand in cold water using only mild soap, and air dry them flat. There is very little give to this fabric, so large ladies may find these gloves do not accommodate their upper arms. 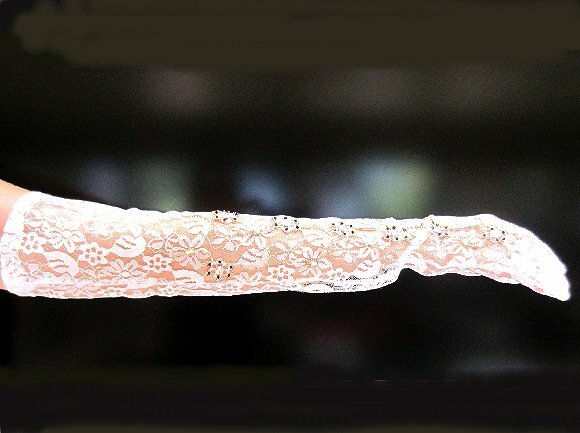 Keep these fabulous white lace gloves in mind for weddings, quinceañeras, for sweet sixteens and for proms. They?re also perfect for opera gala openings, holiday parties, and charity balls. All that, and so affordable, too! But then, what else would you expect from SPARKLE PLENTY?